Big Big Train: Kingmaker. New song. 13th July. Kingmaker. New song. 13th July. 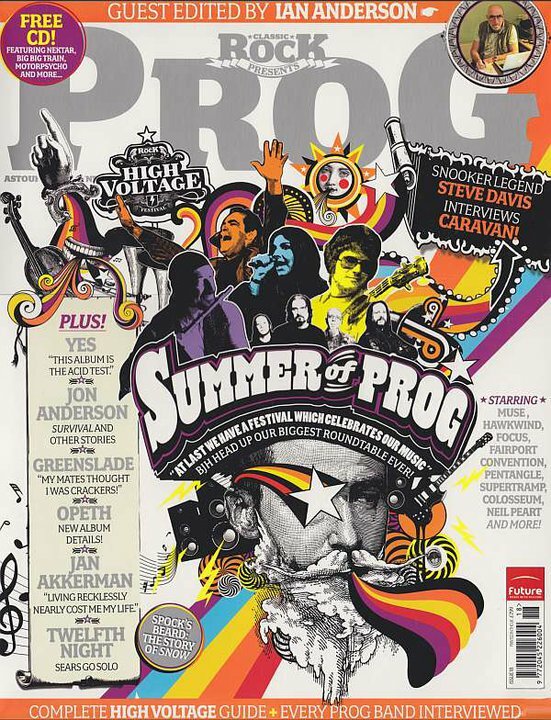 The covermount CD on the next issue of Classic Rock Presents Prog (issue 18, available from 13th July) features a new 10 minute song by Big Big Train. The song is called Kingmaker and is an exclusive release for Classsic Rock Presents Prog. Kingmaker will not otherwise be released on CD in the UK or the United States, although it will at some stage be available for purchase as a download from iTunes, Amazon, Bandcamp etc. Ooh, I'm glad I'm a subscriber - Looking forward to this one. More generosity from Big Big Train - You spoil us! Hope it allows more people to discover the band. My copy of CRP Prog has just been delivered by the postie and I have just had my first listen to Kingmaker. My experience is that BBT's songs take many listens to fully appreciate, but my first impressions are very favourable - another great addition to the canon. First listen - sounds great - some really nice guitar work and some nice atmospherics too. And there's the sea again - might sound good as a "bonus track" on "Far Skies Deep Time". Any comment from the band on the recording of it, etc? Kingmaker will be a replacement track for Master of Time on the Russian release of Far Skies Deep Time (through the MALS label)and also on the iTunes release. Licensing a cover version of a song owned by EMI is complicated, both for Russian labels and for download sales! A very early version of this song appeared on our second demo, The Infant Hercules. For this completely new version we've improved the chord sequence and written new lyrics and melodies. The new version of Kingmaker was recorded during the sessions for our new album, English Electric. It will not be on that album and, at this point in time, the only CD release of it on CD (outside of Russia and Eastern Europe)will be on the Classic Prog Prognosis 18 CD. i'm gonna buy the new issue, i don't wanna miss the new version of kingmaker. i know the original one, a good song, but i'm sure the new one will be better. Could we have the link to the MALS site? I'd like a copy for my collection. Is it just the one track which is different? P.S. I think it's great that you released this for the UK (with the PROG magazine) - so we don't have to duplicate the Far Skies EP if we don't want to. We hope to get a limited quantity of MALS FSDT's in stock at some stage and will put them on sale in our shop. Only the one track is different, so it'll be for the 'completists'. We've had a shipment of the MALS version of Underfall Yard (same tracklisting as the original release) and it's very nice - they do them as an LP-style cover. We'll put that on sale at some stage too. Claus, thanks for the link to myfavouritemagazines.co.uk! Unfortunately yesterday they had only the last issue, today the current issue's cover is online, but I can't order it because it is already out of stock. Bad luck indeed. If anybody has another idea how or where to buy it in Zurich, Switzerland... I'd appreciate it. All-clear again with myfavouritemagazines.co.uk - I guess they had a technical glitch or something. Issue 18 is now on stock again and I was able to order one. Thanks again to Claus for the link! Magazine made it on to the shelves in Newcastle today. I've only played the CD in the car (and I'm sure it doesn't do it full justice) but Kingmaker sounds great. It's an excellent opening track for the PROG CD and I'm sure it will sit very well on the Far Skies EP. I'm assuming this will be the opening track on the EP too? There is a very strong "ocean" theme to the song and it will sit well with the two other ocean tales on the album - perhaps better than Master of Time? Davids vocals are excellent throughout but the chorus is just wonderful. And the new guitar parts!!!! I loved the original, but this is just so different , so much better. It would be a great concert track. With the new artwork, packaging and track listing the EP will take on a very different persona. I can wait to see the finished item. In the meantime, perhaps you could put the track on the website playlist for those not able to get the magazine? It's a direct swap for Master of Time, so will indeed be the opening track on the new Far Skies EP. In fact, we've taken the 'sea' theme out of the Fat Billy mix, so the EP begins and ends like that now. So, in some respects, Kingmaker may be a better fit. We'll put it on Soundcloud for listening at some stage and it'll be available to buy as an individual download from early August. 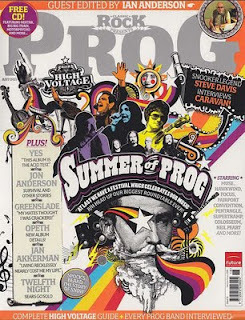 This is great - CRP Prog magazine turned me onto Big Big Train (for which I will be forever grateful) and now BBT are helping people get CRP Prog magazine. Is this what they call a virtuous circle? It's been a few days since I downloaded the new "import" version of FSDP from the bandcamp page. While I loved the BBT cover of Ant's "Master of Time", the album is far more cohesive with "Kingmaker" in the starting position. Now spanning more than 43 minutes, and no longer feeling like a collection of outtakes, its fair to call this an album proper (and a strong one at that.) Nice work, gents. I'll be one of the "completists" vying for a physical copy.